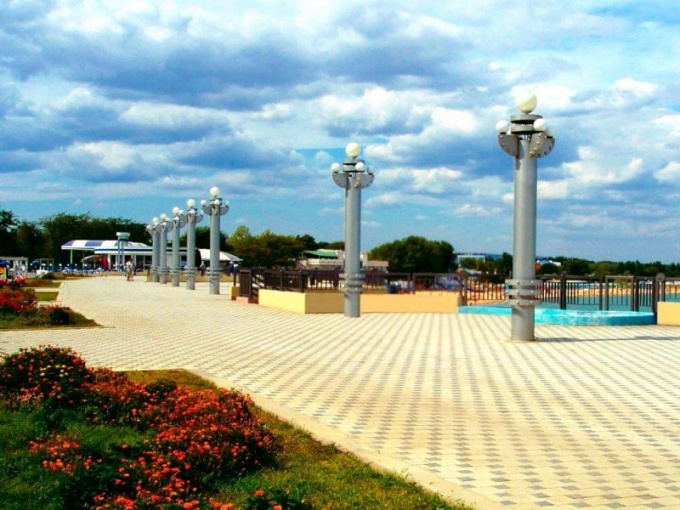 Anapa — a resort city on the Black sea. Every year several million people come to relax in this cozy town. To get to the Sunny city coast by plane, car and train. The route from different cities will be different. And time of year affect how to reach the sea. In winter the number of trains is limited as Anapa end, dead-end station. In the summer there are additional compounds that will easily take you to the coast. Year-round to Anapa is a train 399 "Tomsk — Anapa. The journey takes four days, it passes through Novosibirsk, Omsk, Chelyabinsk, Ufa, Samara, Syzran, Penza, Volgograd, Krasnodar. In the summer he goes every day, in winter every other day. There are compartment and second-class seats. To get to Anapa is not difficult from Moscow. Almost every station the trains go in this direction, for example, train 012М walking from the Kazan railway station daily. The movement is open from June 2014. From the Belarus station there is a train 110M in the summer he goes every day, winter is on even numbers. In addition, there are only summer routes: 152М and 156M, they go only in the warm season, but every day that allows hundreds of passengers to get to the point of destination. Seasonal routes include the train from Murmansk 293А. The train goes through St. Petersburg, Tver, Moscow, Tula, Lipetsk, Voronezh, Rostov. He wears only in June, July and August. And there are still years of train from St. Petersburg room 259A, which goes to Krasnodar. The exact schedule of trains, you need to learn in a particular period as for the summer can be dozens of new trains from different cities of Russia. There are even options when the departure takes place only 2-4 times a year, and in a constant schedule, these compounds do not appear. 35 km from Anapa station tunnel. It passes through many trains from different parts of Russia. Sometimes it's easier to get to the destination, and then a taxi or bus to get to Anapa. Transportation runs every 15 minutes, so no problems even late at night. Go through the Tunnel to all trains that go to Novorossiysk. Year-round go train 453 Ufa — Novorossiysk, 507Г from Izhevsk, 336Е from Nizhny Tagil, 339Г from Nizhny Novgorod. Trains run daily, or every other day, the exact schedule is to learn at the box office. In the summer also creates additional trains from Kazan, St. Petersburg, Vorkuta and Arhangelska. To Subway go train from Moscow. There is a part from Paveletsky station 481Я, schedule almost daily. There is a train from the Kazan station 126Э (soon). In the winter months walks regularly.